Sure, we feature some of the best indie and foreign feature film programming in the city, but we also offer a slew of ongoing series & special events! This page will help you keep track of it all! 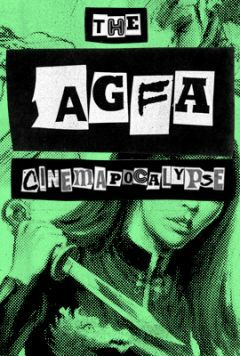 Direct from the vault of the American Genre Film Archive (AGFA), this series offers exploitation at its very best! Special introduction by Monte Yazzie of the Phoenix Critic's Circle! 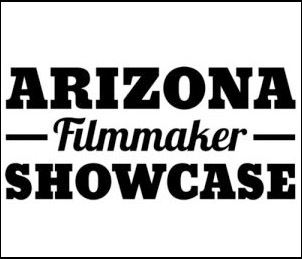 Arizona is a hotbed of creative filmmaking and we were so inspired by the work of these artists that we decided to do our best to showcase, to the community, the best Arizona has to offer. Come support your local film scene, meet the artists, and have a great time doing it! BS Movies Podcast presents the best in "mostly-80's" popular and cult films! 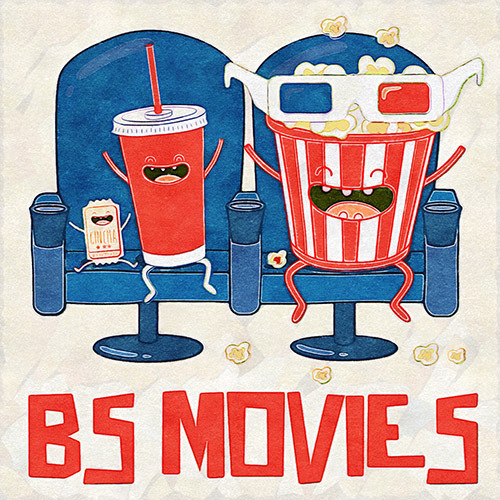 Stay after the film and take part in BS Movies Next film podcast -- recorded live in our theater! 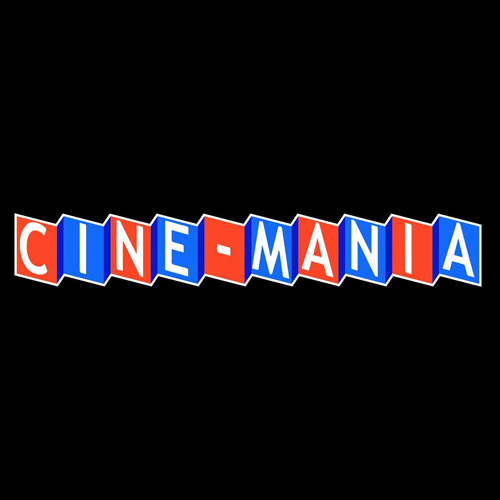 See your favorite genre films on the big screen! Godzilla, Altered States, Wizards and much, much more! Hosted by Dan Stone from The Unfathomable Film Freakout and presented with support from Zia Records! It's big! It's gay! It's FilmBar's Big Gay Singalong -- a monthly screening of gay-loved musicals and classics! 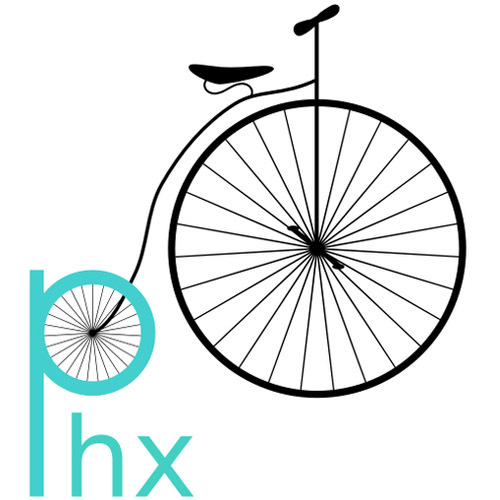 Bicycle advocacy group Phoenix Spokes People presents fun and thoughtful cycling-related films every few months here at FilmBar! We're currently working on our next event, so hang tight! 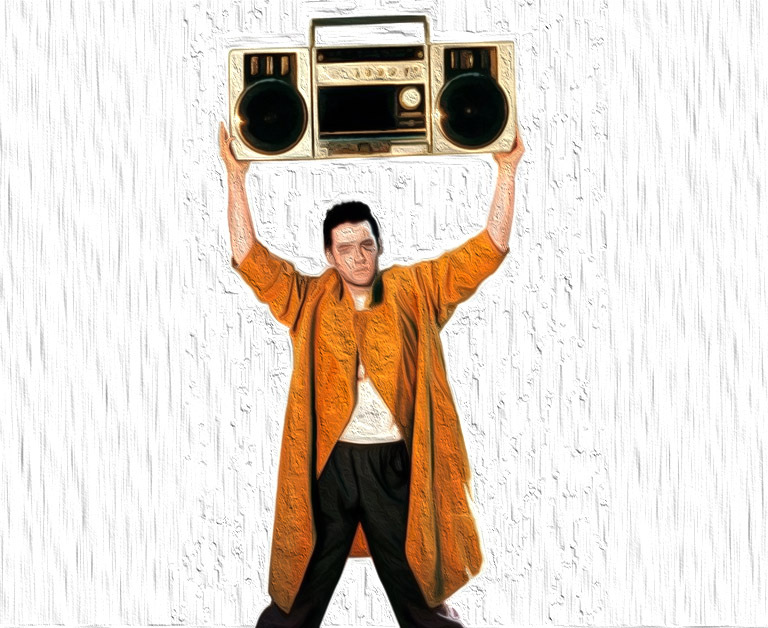 FilmBar isn't only about screening great films:-) We also love music! 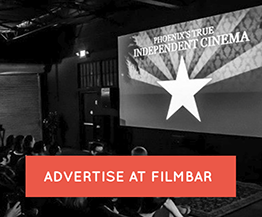 For over 6 years now, FilmBar has played host to one of the best music parties in Phoenix! 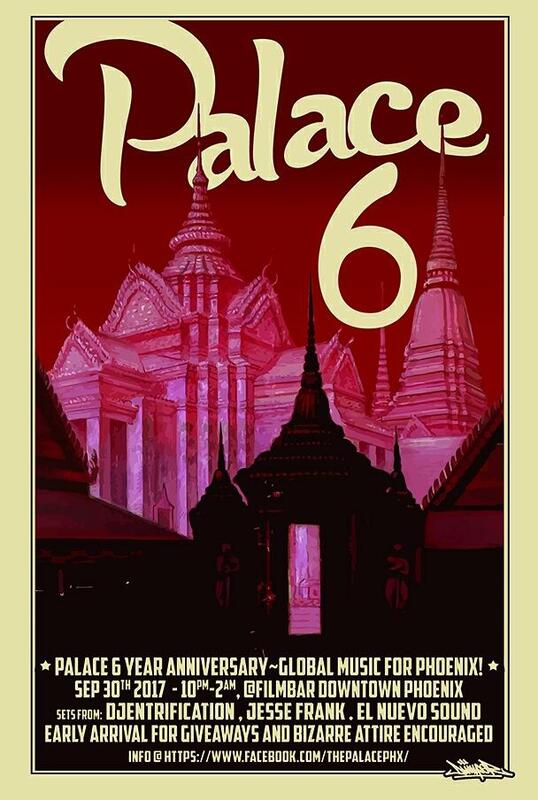 With a completely international focus, THE PALACE has showcased the grooviest, eclectic music from around the world! Local legend DJENTRIFICATION exposes and expresses his vast knowledge of global beats in the FilmBar Lounge. The one and only! Buy a prop bag at the door, partake in a virgin sacrifice (or, at least, receive a good-spirited ribbing from the last and crowd if it's your first time attending a Rocky screening), sing, taunt, and toss a few things about the room while members of local shadow-cast Frankie's Fishnets act out scenes from the film in front of the screen! A monthly screening celebrating Art House classics by bringing them once again to the big screen. Presented by FilmStruck and Zia Records and hosted by a local academic. Non-members are welcome to these screenings! However, consider joining today! •	A FilmBar membership is a great way to support our efforts and get a lot of great perks, to boot!